I love recycling old materials into something new. 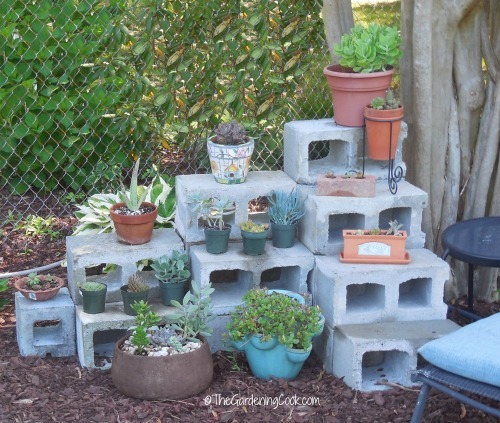 A big collection of cement blocks got a new lease on life today. 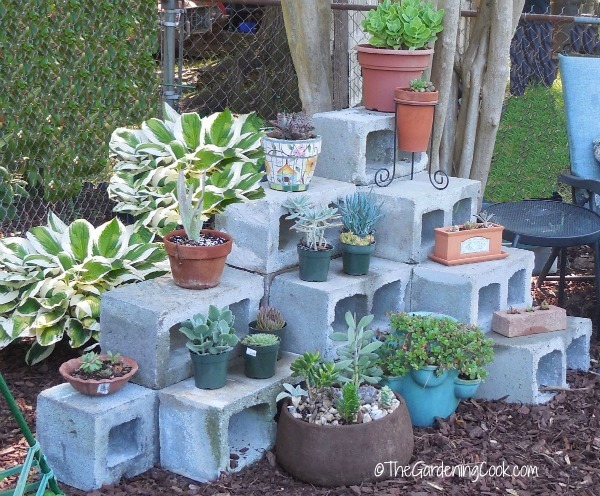 This cement blocks Plant Shelf project is the perfect way to show off a collection of plants and to add a focal point to a garden bed. 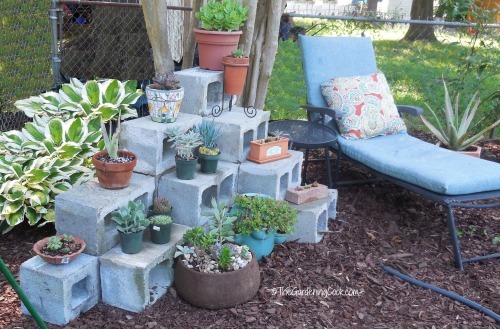 Tidy up your Plant Pots with This DIY Cement Blocks Plant Shelf. One of my garden beds is getting a make over this year. (again!) Since I have a lot of succulents and cacti, I decided on a Southwest theme for the focal point. Mr problem is that I had no way to showcase the pots and didn’t want them all sitting on the ground. 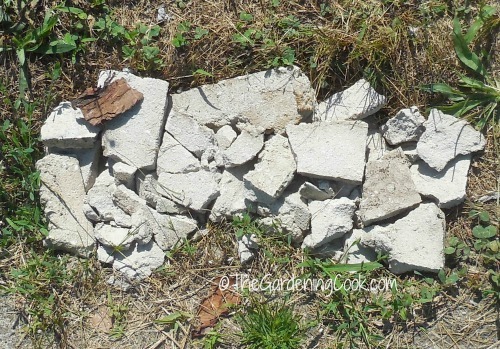 This is where a pile of old cement blocks that have been sitting in a corner of our back yard came into use. 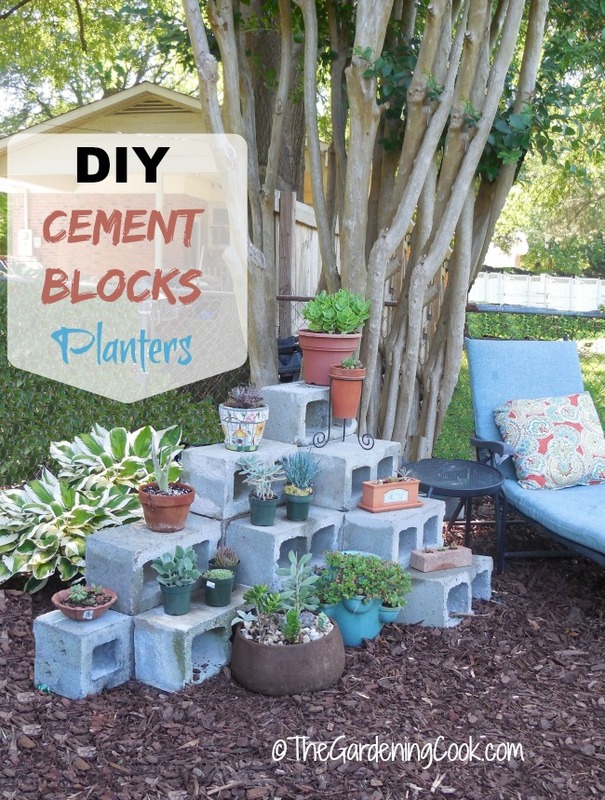 There are loads of ideas on the internet for using cement blocks as planters. I tried a variety of arrangements until I got the one that appealed to me. 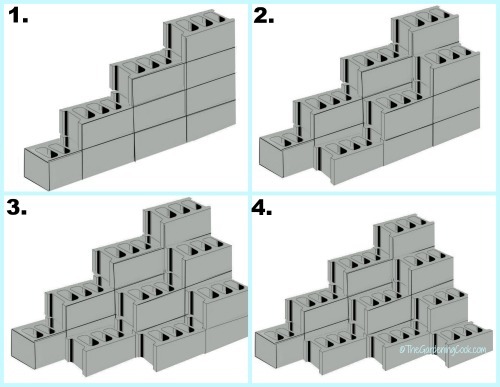 This drawing shows the layout of the steps. I arranged my blocks in this setup and then I realized that it is not a planter that I was looking for (i.e. 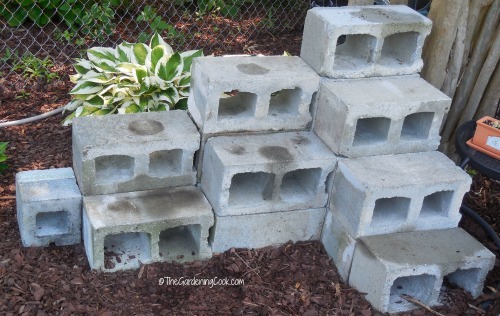 putting plants in the holes of the cement blocks) but a planter shelving area that I was seeking. So I turned the blocks on their sides to give me shelves to place my plant pots on and ended up with this. Add in my wrought iron table, (affiliate link) a large Aloe Vera plant in a hexagonal planter, and my lounge chair and cushions and I have a lovely place to sit and dream! 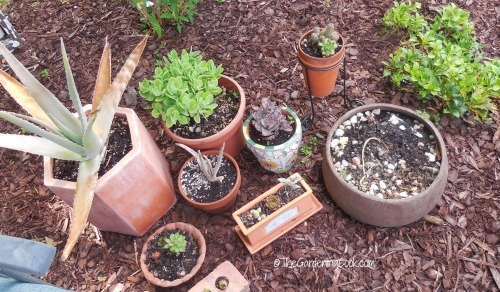 I love using old bits and pieces that I have in my yard to recycle them into something pretty in my garden. What do you have in your yard that can be put to use in a new way? Update on the planter: New photos: I renovated my whole garden bed in 2017 and remade my plant shelf stand into a cement blocks raised garden bed.